This salad is versatile and tasty while also wedged full of vitamins and minerals. Salmon itself is one of the most nutritious fish, packed full of iron, zinc, niacin, vitamin B6 and 12 along with a whole host of other nutrients for good health. 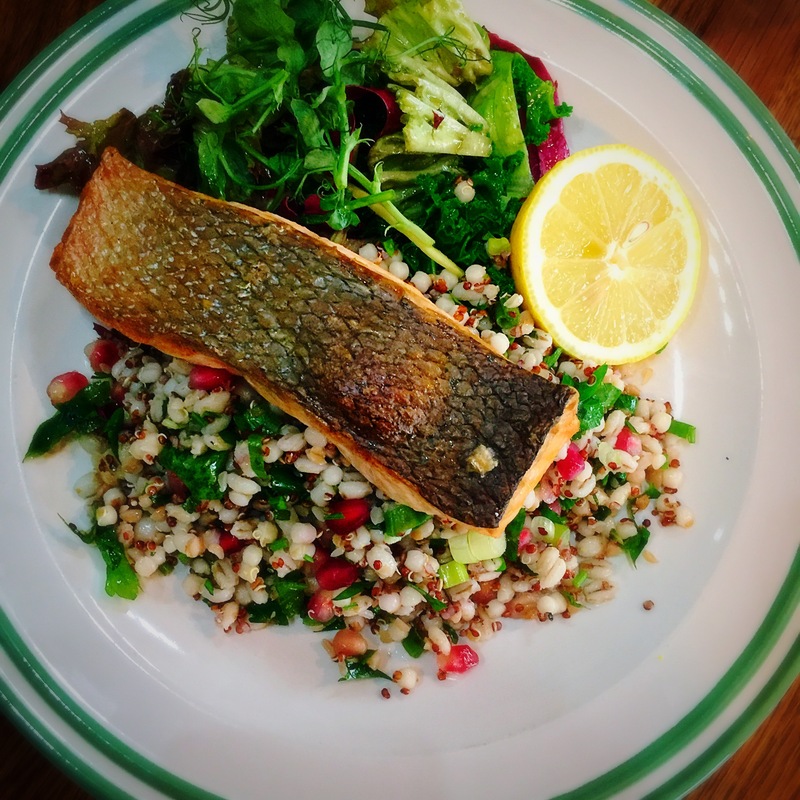 As well as the mixed grain salad this dish is superb for heart and brain health, bone health and improving thyroid function. Grains such as buckwheat, quinoa and cous cous are high in protein, fiber, vitamins and minerals. We named this the Powerhouse Salad because it would be hard to find a vitamin or mineral that’s not in this dish!